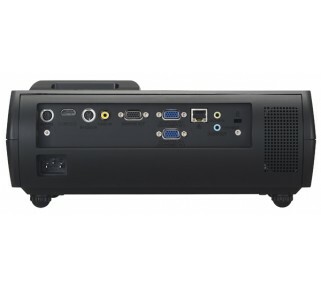 A perfect projector rental for tight spaces, this projector produces a bright 6' wide image from only 39" away. If you have limited space between your projector and screen, this Sanyo short throw projector is the solution. Perfect for restaurant private dining rooms for dinner meetings and private parties. You only need 39 inches of space between the projector and a 6' screen. 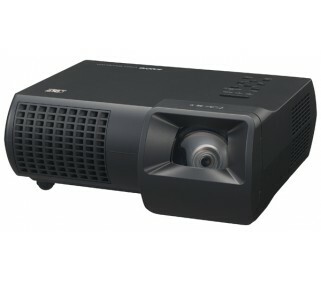 The Sanyo projector takes a wide range of computer and video inputs and is very easy to use.